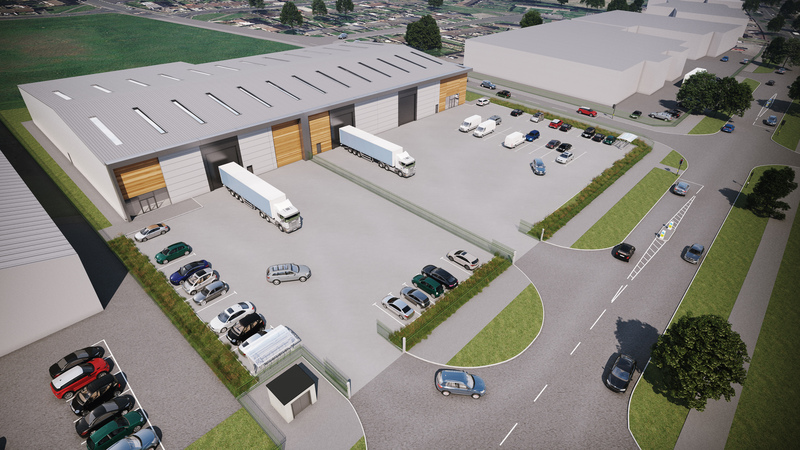 Two industrial units totalling 35,000sqft will be built on the 2-acre site, which Redsun Developments acquired from a private London-based investor in 2016. Huyton Business Park is located close to the Tarbock Interchange of the M57 and M62 and is home to a number of high profile occupiers including Halewood International, Travis Perkins, Screwfix, Howdens Joinery, and Toolstation. Redsun has exchanged contracts with VIKING Life-Saving Equipment Ltd who will take 20,000sqft on the completed scheme. VIKING is a global leader in the servicing of maritime life-saving equipment with operations in 40 countries. It currently has its UK operations in Great Yarmouth, Liverpool, Aberdeen and Southampton. Once building work completes VIKING is planning on centralising many of their key activities for all of UK in a new and purpose built facility. The development is scheduled to complete in February 2018.